In my experience implementing ABM as a SaaS CMO, and then working with other B2B companies as a consultant, I've found 10 key steps that lead to ABM success. More important, I've identified some common mistakes so you can avoid them. Step 1: Identify your ideal buyer. Start by analyzing your customer base. Look for trends in industry, technology stack, size, stage, triggering events, etc. If you don't have all the data in your CRM, consider conducting interviews with customers or holding thorough discussions with account managers. Step 2: Determine accounts, segmentation, and personas. Ideal buyers typically come from multiple industries, multiple company sizes, and multiple stages, with different personas, etc. Marketing and Sales need to decide on account segmentation and prioritization of the targets and personas. Avoid this common mistake: Most companies start with industry as the first segmentation criterion. The mistake comes when companies don't prioritize and narrow the scope. Limit your focus to four industries or fewer. You'll be thankful when you start thinking about content! Step 3: Determine the value prop for the buying personas. To validate priorities and for messaging, identify the compelling reason for each persona to buy from you. That means identifying their pain and how your solution alleviates it. Many companies will use that information to split persona responsibility between Sales and Marketing based on how compelling the value is. Avoid this common mistake: You may walk into this step with seven personas for each account. The mistake is leaving with seven personas or thinking that you'll treat all personas equally. The exercise to identify the value prop should be used to de-emphasize focus on those personas for which the value proposition is weakest. Step 4: Get clear on account definition. Defining what an "account" is and aligning the data in the CRM is important. Marketing will be scoring account engagement and notifying Sales when the engagement threshold is reached. Work with Sales to identify whether the 10 locations of a given company are 10 accounts or all part of one account. Trisha Winter is the founder of Focused B2B. 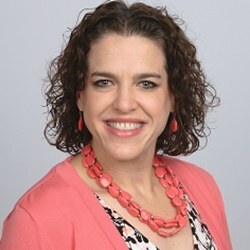 She is a former SaaS CMO who helps B2B companies identify and connect with target buyers to drive revenue.